When a email popped into my inbox from the lovely ladies at Thierry Mugler Angel Fragrance, asking me to gather my closest friends to celebrate their #AngelTribes movement, and capture our style and strength in a selfie. 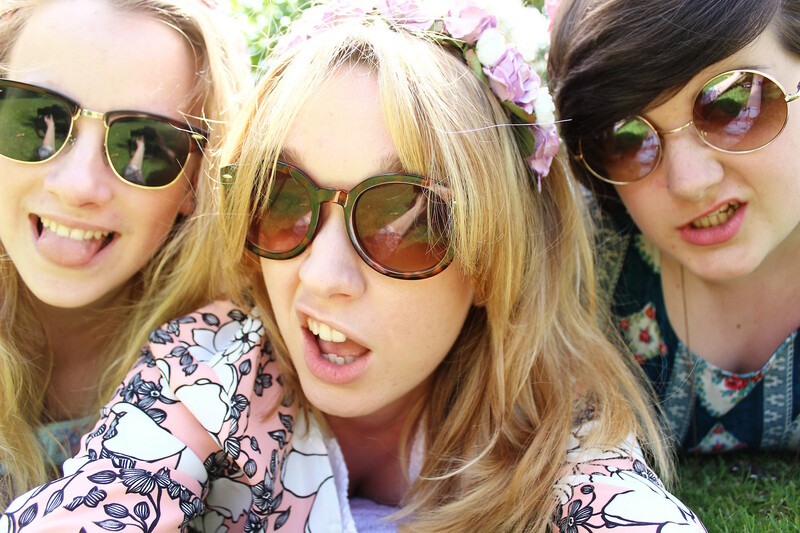 I simply couldn't resist inviting a couple of my 'nearest and dearest' round, for a catch-up and festival/summer inspired "selfie-shoot"- *queue donning a floral head crown or two*. My tribe consists of my friends Lulu (on the left) and Emily (on the right) both girls are ones who always make me end up, in fits of laughter (sometime uncontrollable!) But also are such caring people who always have my back, whether thats through a text or a chat over a coffee. When it comes to our style we each love to try out different trends, from the latest hair accessory to the newest pair of shoes, but still agree that comfort is key when getting dressed up. Personal style wise, this probably comes as no surprise, but I always seem to (almost subconsciously) turn to the 60's for inspiration. This sometimes ranges from channeling the Mod Look to looking like a "festival-goer" at Woodstock - oversized kimonos and all! I feel that blogging has definitely made me 'embrace' this, by pushing the boundaries with how I style pieces and the items in which I purchase. When discussing our own personal style Emily would say she would describe hers as high street with a touch of vintage, taking inspiration from the actress Zooey Deschanel. If I was to describe her in a outfit it would definitely be a vintage tea dress paired with her burgundy doc martens- which she adores to pieces! Lulu would describe hers as floral inspired, often opting for pretty patterns and lighter colours,. If I was to describe Lulu in a outfit it would definitely be something along the lines of frilly and floral, with a high street/feminine feel. Thierry Mugler have not only asked me to share my "tribe-selfie" but also to share yours, through the #AngelTribes hashtag on your blog and/or social media pages. To share the love and celebrate your very own tribe of your closest friends. 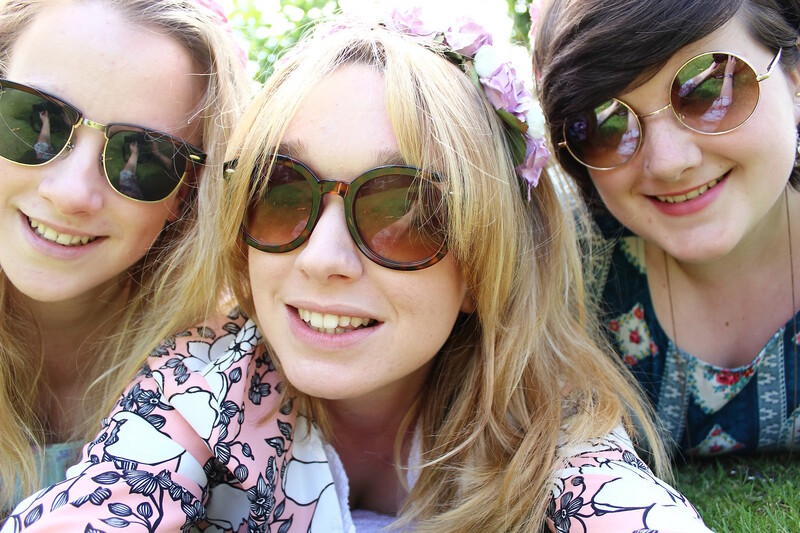 I hope your've enjoyed todays slightly different, more personal post! 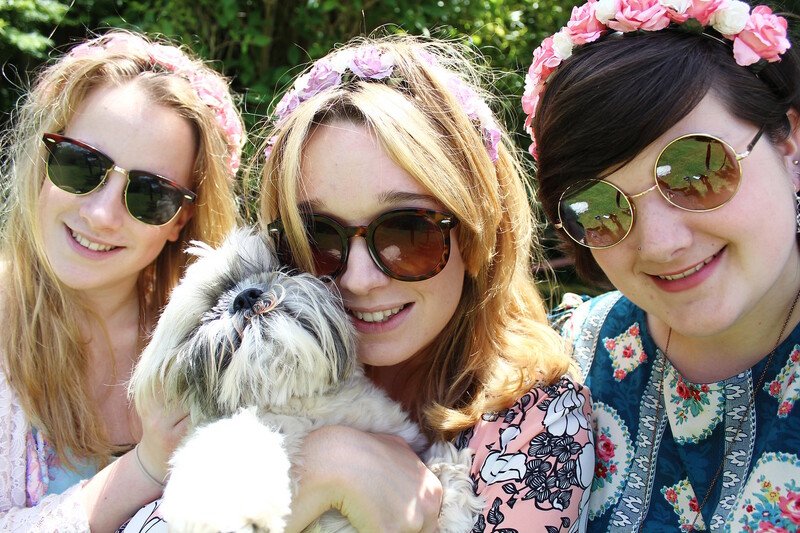 Don't forget to share your #AngelTribes selfies as I would love to see them! Post done in collaboration with Thierry Mugler, but how could I not resist a selfie with my friends!